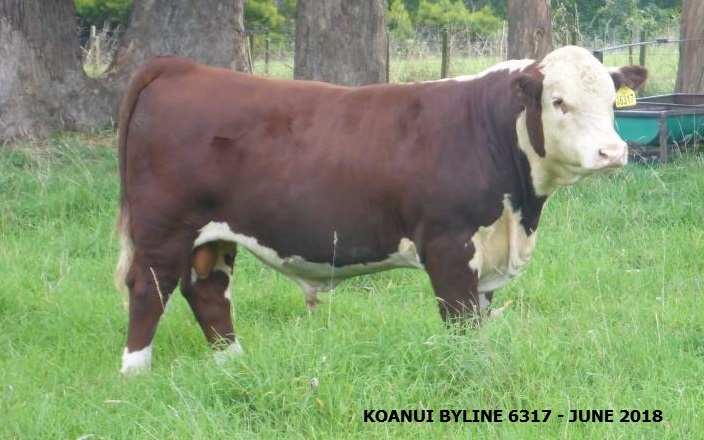 2018 KOANUI BYLINE 6317, Willowsprings new Herd Sire. LEELANDS DIANA 9959 a cow we purchased in 2008 continues to be a great influence in our stud breeding programme and in hereford breeding outside Willowspring. Red Hill Kiwi K451 is the result of flushing Leelands Diana 9959 to Koanui Safety 8557 to order, and sale of resulted embryo’s to Red Hill Herefords at Euroa in Victoria Australia. Red Hill Kiwi K451 is for sale at the National Hereford Show and Sale at Wodonga, Wed 11th & Thurs 12th May 2016. 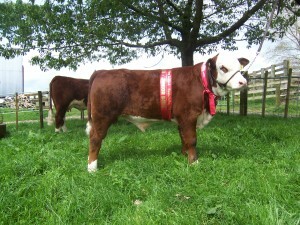 Update 13th May – K451 won his class in show on the 11th and was sold for A$10,000 on the 12th. Red Hill Stud have retained a flush brother to Red Hill Kiwi K451 to be used in Stud. Willowspring Global 547 out of our great Miss Brit 355, wins Junior Champion Bull at Hawkes Bay 2015 Royal A& P Show. 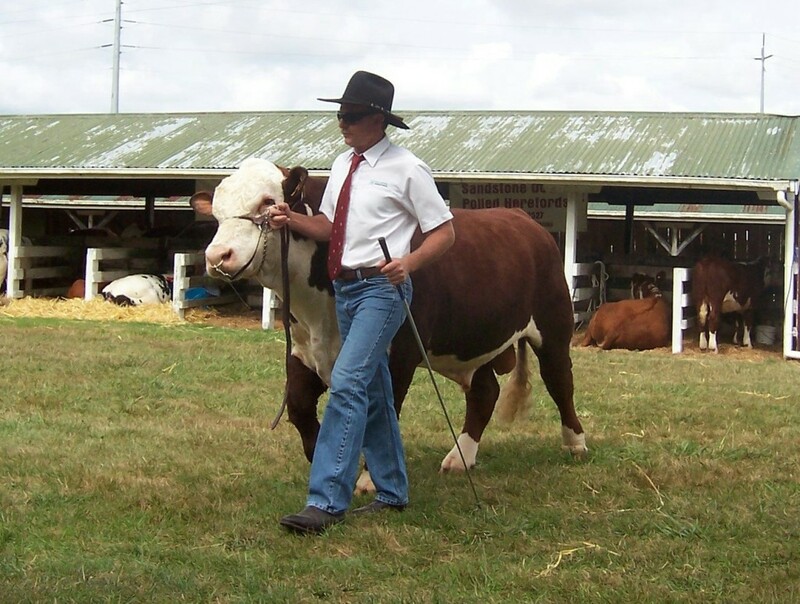 Gary walking with Attorney 481 as a yearling, winning the 2015 Franklin A & P show Junior Meat & Wool Cup, which he also won as a calf in 2014. It’s been a few years since our old website was created, so we have now upgraded to a much-improved version. We are now using WordPress to power our website and we hope you enjoy the increased responsiveness and user-friendliness.